Mini-Tart, originally uploaded by Noladishu. 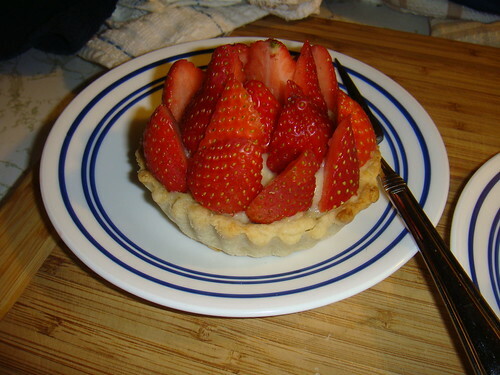 Yesterday I decided to make mini strawberry tarts, and stack as many strawberries in them as possible. Came out quite tasty, and left enough tart shell dough left to make mini apple tarts tonight. I think next time I will condense the apple tarts into 1, though. 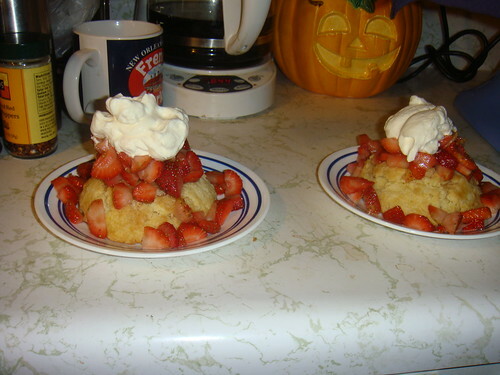 During the cold snap where we were all cooking to keep warm I made the strawberry shortcakes out of the america's test kitchens cooking for two book, which was a christmas present. Lots of useful scaled-down stuff in there. Also kitchenaid-made whipped cream is awesome and fast. Non sickly-sweet whipped cream ftw. parades 2010, originally uploaded by candice quates. This is what my Sunday morning looked like, as we head into the home stretch of Mardi Gras day. I even have a costume for tomorrow. Spent some of the lull between parades here wandering St. Charles with a bloody mary. Good times. The crowds only got worse. 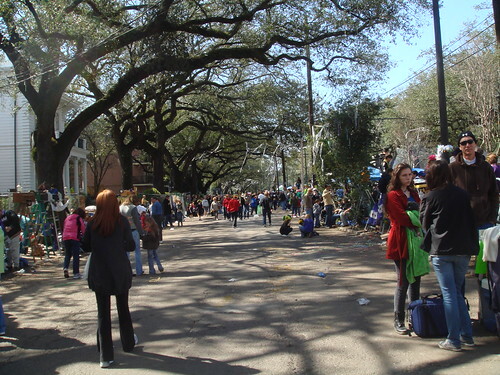 Here: a scattering of Mardi Gras pictures and some awesome Lombardi Gras pictures. Update: Today's pictures are in the Mardi Gras set link above. 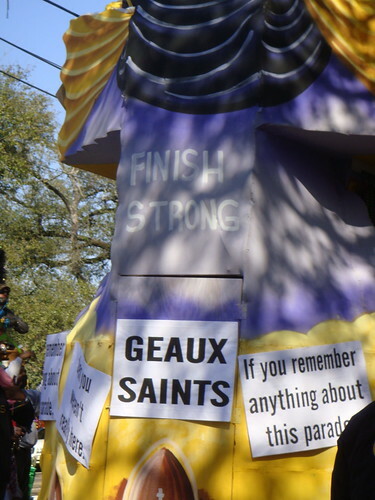 FINISH STRONG, originally uploaded by Noladishu. The end of the last float in the second parade today, after which everyone is going home to fix food for the superbowl... Where else do you scramble out of bed for 11am parades on superbowl sunday? See also gold 67 mustang on the rust chronicles. It's as old as the team is. Hopefully it is still out there.